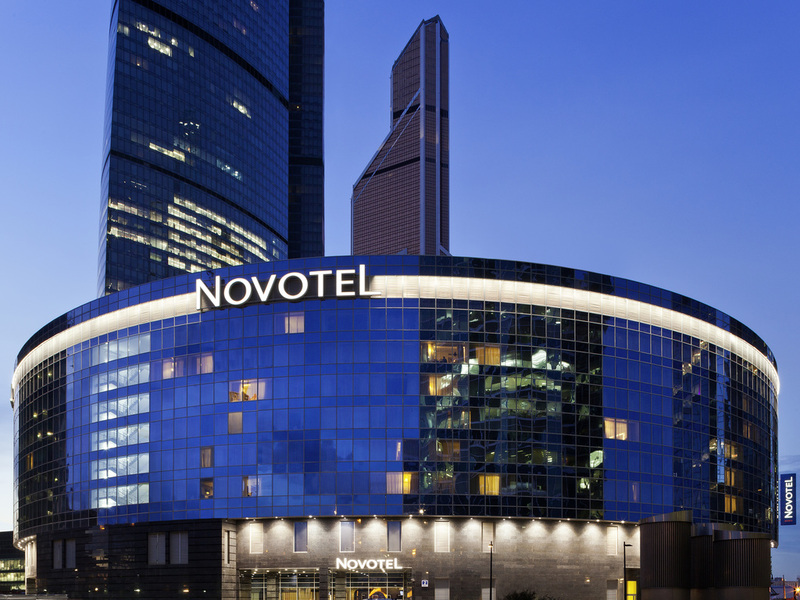 Located in the heart of the Moscow City business district, the 4-star Novotel hotel offers a wide range of leisure options. Guests can enjoy modern leisure facilities at Moscow City. Thanks to the hotel's convenient location, you are just a few minutes from the main attractions and the airport. For business meetings and conferences, the hotel offers fully equipped conference rooms, free WIFI throughout the hotel, and an iMac area. Our spacious, contemporary rooms have all the necessary facilities and are the perfect place for business or a holiday. For your convenience, the hotel offers free WIFI. MC Traders offers a wide range of delicious international cuisine and cooking classes. The guests can enjoy Early bird breakfast from 4 am; hold a meeting during a business lunch and in the evening relax next to a real fireplace in the bar. Located in the hotel lobby, the MC Traders lounge bar is the ideal place to relax. A wide range of drinks and snacks is available to suit all tastes. Great staffs, good energy level, charisma. Special compliment to Stella who was very effective helping the two times I went to the reception for information and help. Structure of the room in cleanness also very good. Fue una estancia corta pero confortable. Breakfast was impressive, except the coffee. The room was clean, but the room temperature was too hot and cannot be adjusted, need to ask the staff for help. I was staying in a twin bedroom, the bed was unusually small for a 4 star hotel. After 6th or maybe even 7th time, Novotel Moscow City now officially became my home when in Moscow:-) As a hotel industry proffessional I am very specific about my accommodation choice and expectations. Must say that you are one of the rare properties where I only see visible improvements in service and facilities each time I return. Great job everybody! I am staying at your hotel many years in a row now and always while participation in MITT. Until now I was always accommodated in a room with a view over the city. Now I received a room with yard view. This is not a problem for me at all but I would like to have the information beforehand in this case and not learn it when I open the door to the room. I would have the time to accept it before I arrive. The other thing that made an impression to me was that the front office managers on the VIP counter or whatever you call it were not helping guests even if there were no gold or silver card holders to keep the busy. This is not acceptable to me. Even the airlines help economy class guests if they have no business class at the moment. I would not complain bout this but since you remind me to do so, I hope that my comments will help you improve the experience of the other quests of Novotel Moscow city. Location perfect as close to expocenter Rooms are quite warm and no regulations enough to make them colder Also one thing; there was a note that towels will be changed only if you leave them on the floor, I didnt as I could use them not only once, but even then my towels were changed!? Friendly efficient staff with good clean facilities. I enjoyed my stay. There was nothing I did not like about the hotel. Service is good in your hotel but your website is so bad. I booked and paid on your website (input all information of my credit card) so your website shows me that I don't need to pay anymore in Chinese language (I can't change interface into English). I printed this information, and brought it to Moscow. When I arrived, your staff said that she can't understand Chinese, and she asked me to pay again. (If your staff only can understand English, please make your website only English) Only I can do is to use my credit card to pay again. For me, this is unacceptable. it will be a risk of double charge. Excellent location for me as I was visiting the expocentre. Nice, clean, and spacious room. Quick check-in and check-out. Breakfast is good. The only bar is on first floor, and could be more cosy. A pity that there is no direct access from the shopping mall to the hotel, had been perfect. but hotel and hotel rooms are decorated very cheap quality and already old. the corner of the doors the carpet were already old. Great service and food. Air conditioning in the room should be improved.